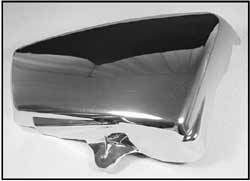 Make Offer - NEW chrome side covers I have never seen these before! Discussion in 'Classifieds' started by gggGary, Sep 8, 2010. Make an offer. they are like new never mounted near perfect chrome better than the pics no haze a few VERY small blems. Yeah what I thought too. When the guy said he had new chrome side covers with the bike I was all ooh ooh pretty engine here I come. Fits: 1980-84 XS650 "Specials" with stock plastic sidecovers. for badge mount holes if desired. bump, I still have these, looking for a new home.